Women account for fifty percent of moviegoers in North America, but of the highest-grossing 100 films in 2017, only eight percent were directed by women. From film screenings to art markets, from splashy premieres to girl parties, this year’s Inside Out has offerings for queers of all stripes. The Pink Market is a queer craft/fashion/art/ literature fair –and it’s coming to Inside Out’s Festival Lounge, May 26-27! Featuring more than 30 LGBTQ vendors, this is your chance to support Toronto’s vibrant queer art scene and mingle with fellow film fans. In Austria the final exam in high school is known as the “Matura.” An assessment of language, math and science skills, the evaluational so signifies a coming-of-age. L’Animale begins just as one young woman is being put to the test. Mati works part time at her mother’s veterinary clinic, learning the ropes so that she can follow in her footsteps. Outside of work, however, Mati’s mother understands so little about her daughter, forcing graduation dresses on her and questioning Mati’s desire to spend all her free time on her motocross bike with the local boys. When Mati develops feelings for a young woman from town and her mother uncovers a secret that her father has been keeping, the family must decide what is more important: living honestly or doing what is expected of them.With enormous heart and style for days, L’Animale firmly places Katharina Mueckstein on the list of filmmakers to watch. Women account for fifty percent of moviegoers in North America, but of the highest-grossing 100 films in 2017, only eight percent were directed by women. With the #MeToo and #TimesUp movements currently advancing discourse about women in the industry, Half the Picture is as timely as they come. The documentary goes further than merely offering up disappointing statistics. The story told in Amy Adrion’s vital debut feature is one that manages to paint a clear picture of the severity of the damage while instilling hope for the future. 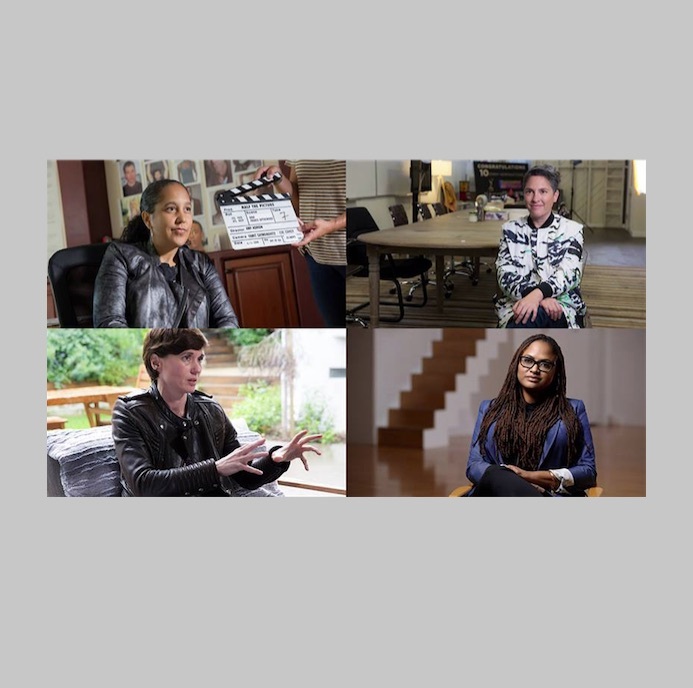 Featuring compelling interviews from some of our most prolific female directors, this film takes an inspired look behind the camera and into the careers of your favourite filmmaking women. With frank, frustrating, and often hilarious storytelling from Ava DuVernay, Jill Solloway, Gina Prince-Bythewood, Lena Dunham, Jamie Babbitt, Miranda July, Nisha Ganatra, Kimberly Pierce and many, many more, Half the Picture is a must-see for all film lovers. Be sure to stay seated for an exhilarating post-screening conversation reflecting and expanding on thoughts and realities expressed in Half the Picture, and looking at it all through a Canadian and International lens. Moderated by programmer and film critic, Sarah-Tai Black, the panel will feature Sook-Yin Lee (Octavio is Dead! ), Fawzia Mirza (Signature Move), and Lisa Donato (Signature Move, Foxy Trot). Celebrate incredible queer women filmmakers and artists at our Women’s After Party at Trinity Church. Have the night of your life grooving to the musical stylings of two of Toronto’s powerhouse DJs, Bambii and Nino Brown.